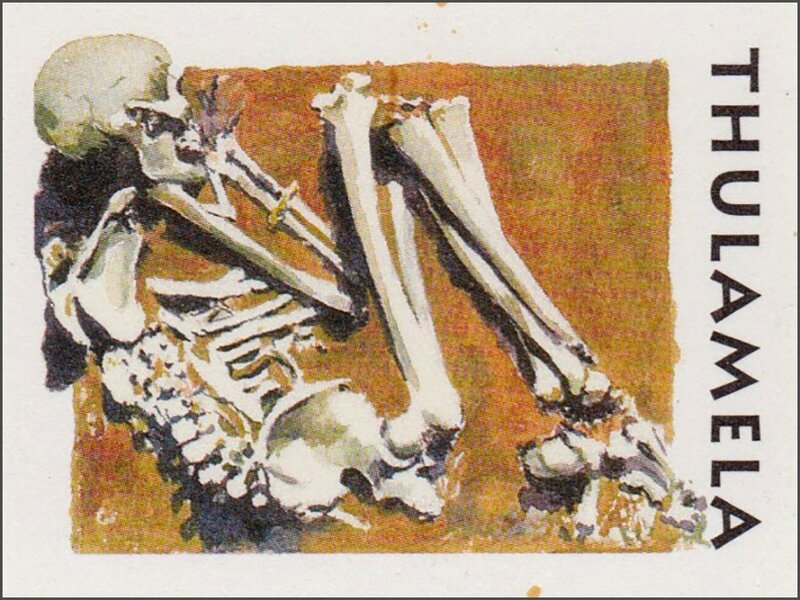 The skeletal remains of Queen Losha were discovered in August 1996 and meticulously excavated by Pretoria University’s Department of Anatomy. She had been buried in a foetal position, with her hands together to the left of her face – the losha gesture of respect. As the earth was carefully brushed away from the bones, the intricately fashioned gold bracelet (depicted on the previous stamp) became visible on the bones of her forearm.